Over the past several months, I have been researching the issue of aging alone. 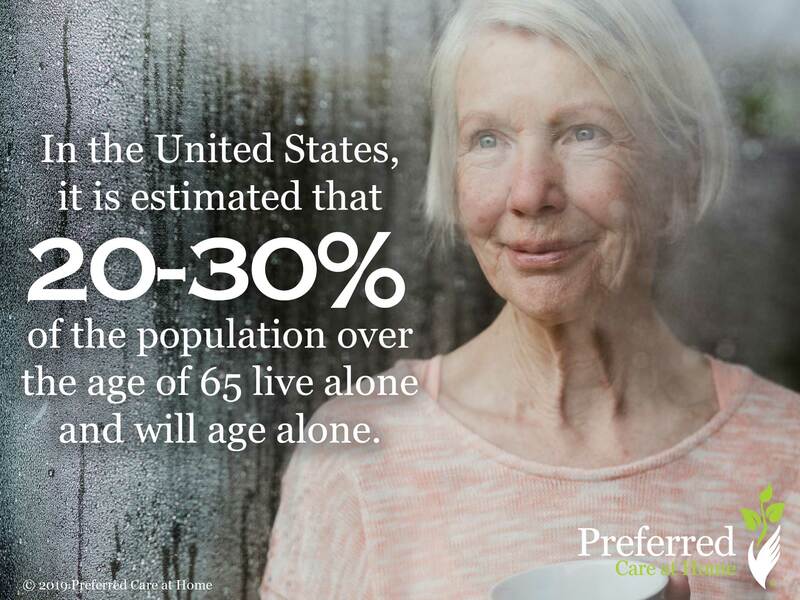 In the United States, it is estimated that 20-30% of the population over the age of 65 live alone and will age alone. The strict definition of a solo ager or elder orphan is someone who lives alone, has no children, and does not have a life partner. But a broader definition of solo aging highlights the reality that we are ALL at risk of aging solo due to circumstances—the death of a spouse or partner, a divorce, or geographic isolation from family and friends. Hence, we are wise to be aware of the challenges posed by aging alone and plan accordingly. Caregiving complications – Who is there to care? When my brother died a few years ago, I recognized the increased need for advance directives, powers of attorney, and a Last Will and Testament. Prior to his death, I counted on my brother to take care of my affairs and me. Now, as the last one standing, I don’t have that naturally occurring safety net. Recently, I sought the advice of an elder law attorney when updating my documents. With her expert advice and guidance, my directives now accurately express my wishes. Furthermore, I feel confident that my friends who agreed to be my surrogate decision makers and legal representatives have all the information needed to care for me and finalize my estate. Having my plan in place provides a peace of mind that is priceless.